Do you cringe each time you have to head into your basement? Does your cellar look like it’s a horror movie set? Many homeowners think that they have to live with dark, dingy basements. But your bottom spaces don’t have to look like a dungeon! 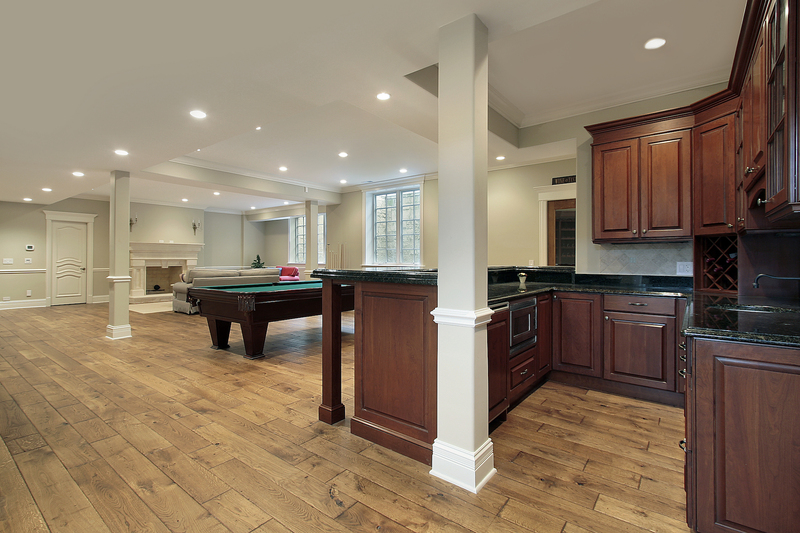 Basement refinishing creates an entire living area that uses all your square feet more efficiently. By the time the team at Southern Home Renovations completes your job, it’ll look like any other room in your house! By installing flooring and installing drywall, your dimly lit basements become the bottom floor! Best of all, the process is relatively fast considering the scope of the project. If you are tired of living with an unfinished basement, then call us to discuss your options. We assist more homeowners in Woodstock, GA, finish their cellars once and for all! Basement refinishing is a relatively affordable and cost-effective way to upgrade a home. Because most of the construction finished during the original build, all you need is the finishing layers placed on top. Walls receive insulation, wiring, and finally drywall and paint, just as all your other rooms did. And although basements begin with concrete floors (which is your foundation) any flooring type can install over it. Whether you’re looking to add another bedroom, bathroom, or just make your storage area more appealing, a refinishing job is an ideal service for you. For the best in local refinishing service options, just call us. We can stretch your budget further! The exact amount of your project depends on many variables. An average range of prices, however, is usually somewhere between $10,000 and $30,000. What factors into your price the most is the dimensions of the basement, as well as what you intend to do with it. For example, installing a bathroom down there is going to require plumbing. Tying the new wiring and pipes into the existing system may create a challenge as well. But when you call in the local refinishing experts, you won’t have to worry about a thing! Our team has the experience you can trust for all your finished basement needs. We help more area homeowners than anyone else. Not finishing a basement is like having an empty bedroom. All of that extra living space is just getting wasted! When you call us, though, you’re reinvesting into your home. Just think of all the possibilities you could do with a little extra room! You may decide to create a downstairs suite for a family member. Or, if you’re feeling ambitious, you could rent out the new room online! Finishing your basement is a potential way to not just add value to your home, but to finally have space that you can make yours. From man caves to kids rooms, mother-in-law suites and more, the possibilities are endless! Call Southern Home Renovations today to finish your basement. You’ll be amazed at the additional living space!